A perfectly appropriate term to describe this well-functioning unit would be ‘a power trio’ for the visceral and exciting energy that this band generates. They are heard here playing music that is idiomatic but ‘dangerous’, melodious but also surprisingly quirky. These are three natural showmen who also clearly enjoy what they play as well as surprising and amazing their listeners. The music isn’t easy to bring off because there is the particular challenge of illuminating and balancing the subtle clues hidden in the dramatic twists and turns of the music and, possibly, because of the complex characters of the musicians themselves. The drummer, Barry Altschul is well-known for his performances with the legendary group Circle, which also featured Chick Corea, Dave Holland and Anthony Braxton. They made just a few recordings in that incarnation before going their separate ways. Many years later, now, Mr. Altschul turns to recording works collectively ‘composed’ by himself together with saxophonist Jon Irabagon and bassist Joe Fonda. While the music is superbly melodious it is particularly suited to the rhythmic intent of this group incorporating pizzicato playing on the part of the bassist and long lines punctuated by short stabbing ones on the part of the saxophonist. 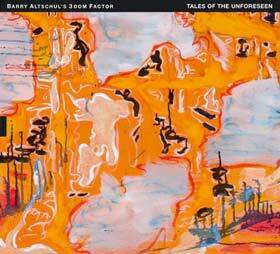 Technically and musically, Barry Altschul is a marvel. His playing is elegant, spacey and marked by melodic phrasing even in their brevity. The brighter side of the music is revealed by Jon Irabagon, who revels in the elegance and elegance of the music, including the ghosts hidden therein. More dynamic contrast is revealed in the motifs (echo) and the greater ‘bloom’ (enflé) on sustained tones over dissonant harmony; something that is always welcome in music that is so dynamic and adventurous. The ensemble gives a polished, affectionate ‘reading’ of the suite that is spread over six sections positively fizzing through “As the Tale Begins”, “The Tale Continues” and “And the Tale Ends” three parts that positively link the rest of the music too – if not in melody, then in theme and schematics at least. Nevertheless, all of the works have much to do with much more than marking time and seeking to prevent lines from exploding out into wider musical spaces and those more diverse colouristic and formal perspectives that might threaten, if not actually destroy the simple continuities. The playing here is, as a result, polished, characterful and extremely rewarding. One again the engineers at TUM and the label as a whole, have produced a wonderful work packaged as only a priceless collectible ought to be, bristling with memorable art from end to end. Track List: As The Tale Begins; A Tale of Monk – Ask Me Now; The Tale Continues; Annette’s Tale of Miracles; A Drummer’s Tale; And the Tale Ends. 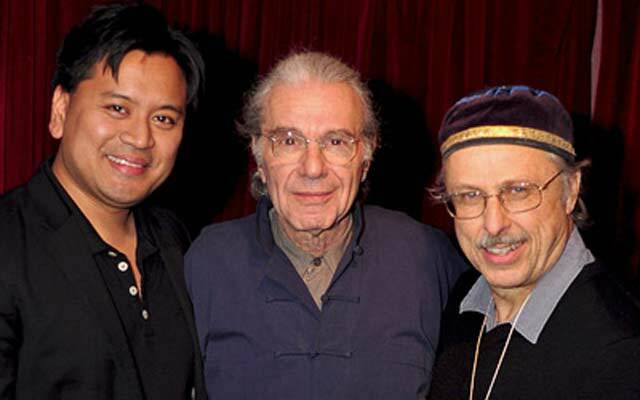 Personnel: Barry Altschul: drums; Jon Irabagon: tenor, soprano and sopranino saxophones; Joe Fonda: double bass.